N.A.C.P.A. – National Authority For Child Protection and Adoption. 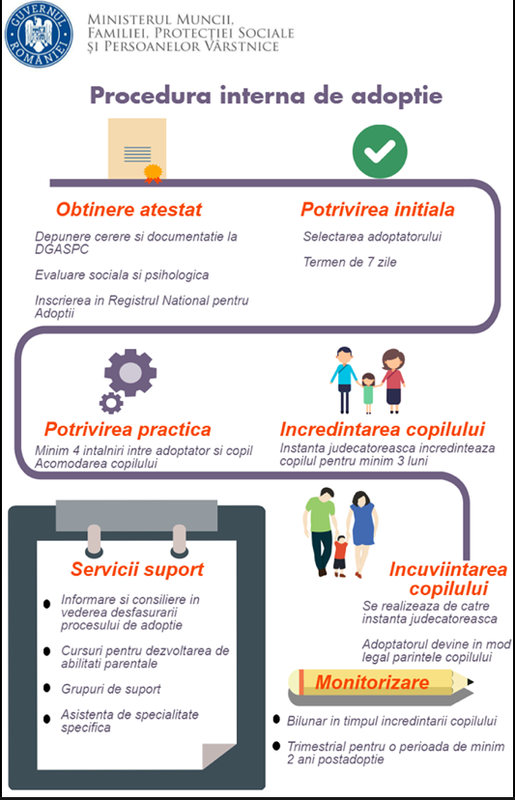 Amendments to Romania’s adoption legislation, specifically Law nr237/204, finalised early in 2015, appear from the following graphs, to have resulted in a significant increase in the number of children declared available for domestic and international adoption. The changes were designed to simplify the adoption process for prospective adoptive parents and the process by which a child is considered to be in need of being adopted. 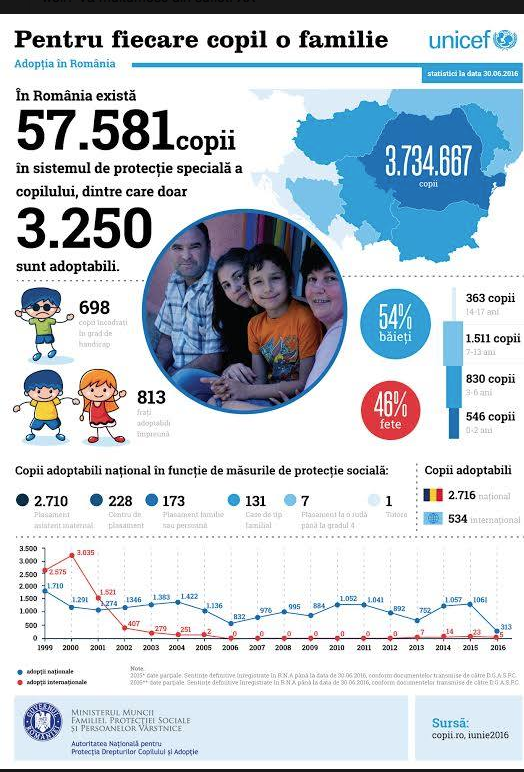 Of the 3,734,667 copii living in Romania, 57,581 were living in the child protection system, either in institutions or in private foster care. 3,250 of these copii were declared able to be adopted. Of these, 2,716 were declared able to be adopted domestically and the remaining 534 were declared able to be adopted internationally.